There are a lot of things in life that leaves us in that limbo state where you know you need to make a decision, but none of the options look ideal, or you feel there are too many unknowns or uncertainties at play, so you delay your decision making as long as you can. For some, the decision to go to grad school is one of those decisions that puts them in the limbo state. For others, the decision to be a grad student wasn’t even a big deal. But the decision on what his/her thesis topic should be is one that takes well over a year to make. Unfortunately, time isn’t something that’s very good at waiting on people. 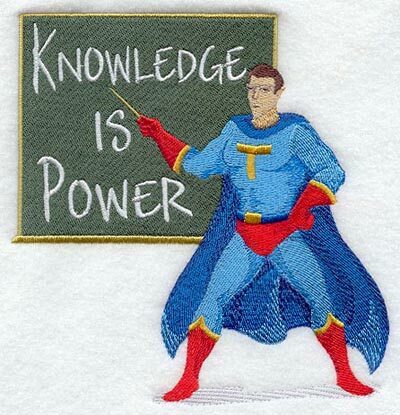 Throughout this summer, I’ve come to realize that a doctoral program has a lot to do with how much you don’t know, perhaps more so than with things you do know. The more educated you are, the bigger expectation you and others have for you to have the answers. But I don’t think that’s quite the way things really work. You read more papers, conduct more experiments, learn some more. But at the end of the day, you find out that you still have a lot of things you don’t know, and you’ll probably never have the time to know them all. So, to keep yourself sane, you just gotta learn to be at peace with the fact that you’re just a tiny fish swimming in the vast ocean of unknowns, thinking that you’re going forward, but that’s just a guess from the fish’s point of view. It’s a very humbling experience. 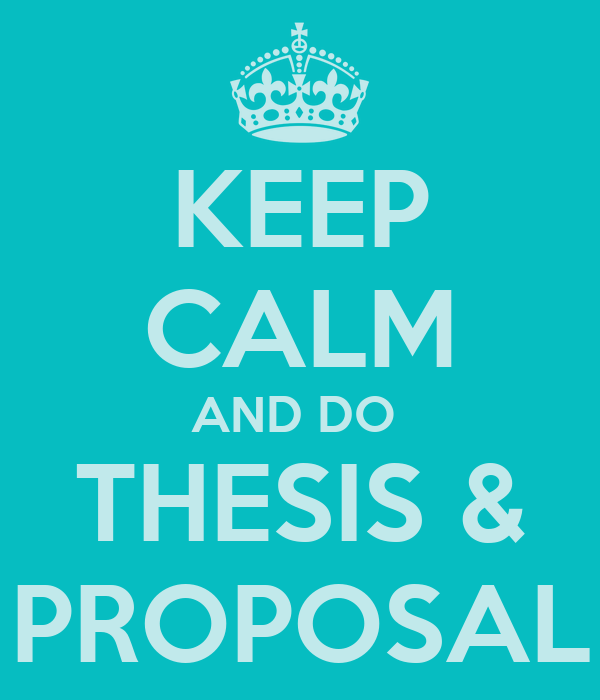 According to the Department’s program guidelines, all Mech Eng PhD students need to decide on a thesis topic, write a proposal about it, and defend it in front of a research committee within the first 18 months of starting our PhD program, usually during May or November. Actually that changed for all new students, and now it’s 12 instead of 18 months. But how do you decide on a thesis topic before you really know what you’re doing? How can a mere 18 month period be enough time for someone to have covered all her basis to make an informed decision about things like this? I mean, this decision will affect the rest of your PhD career that could last anywhere from 2.5 years to infinity (in addition to the first 18 months of your PhD program). Well, I am sure the Department has a secret rule on the maximum number of years a person needs to finish his/her PhD, but let’s just say that none of us will have worry about that… And depending on the kind of project you decide to do, doesn’t it label you as an expert in that particularly field, hence affect where you’ll be headed after you get your doctoral degree? Unless you become a prophet or a futurist or some sort, I don’t think you’ll be able to predict which thesis idea will give you the wings you’ll need to fly in the future. For many weeks, I’ve been going through this mental cycle of “OMG I know nothing, and I’m supposed to know stuff enough to propose things that’ll work out in the future”. Then I realized that I was perhaps over reacting. The RPD is not supposed to be my PhD thesis defense. I don’t need to know things for certain — ’cause then, you wouldn’t need to do the work you’d be proposing anyway. And if I feel significant sort of certainty that what I’m about to propose will work out, chances are the work may just not be very interesting, or other people might be able to come up with the same idea easily. My strategy of figuring out my thesis topic was to seek certainty in things I was curious about. I came up with a handful of things that I thought I would love to work on for the next few years poking around, and decided to take first steps in almost all of those things. That way, maybe I’ll have done pilot tests on all of them, have a handle on how promising/challenging each of the thesis directions are, and make my decisions from there. But, of course, this didn’t work out quite well for me, because each project takes a very long time, and I was greedy enough to want to do all of them as full studies instead of pilots. It was only a couple of weeks ago that I made peace with myself and the thought that I’m not going to get any more certain about any of the work I am going to propose. So, I can’t wait until I am ready. I guess that might be why the department asks us to propose our work so early. They know that we can be in this limbo forever — might as well force us to choose and start something than keep us poking around at different things forever. Anyways, I have a draft proposal, and I am having fun learning about things I didn’t know, finding links that I didn’t see, and framing my ideas using words I’ve never used before. Just gotta keep wearing a positive attitude and say ‘I don’t know if this is going to work, but I’m still going to do it’. This entry was posted in Thesis, Comprehensives, Papers, (Rant) on October 20, 2013 by AJung.